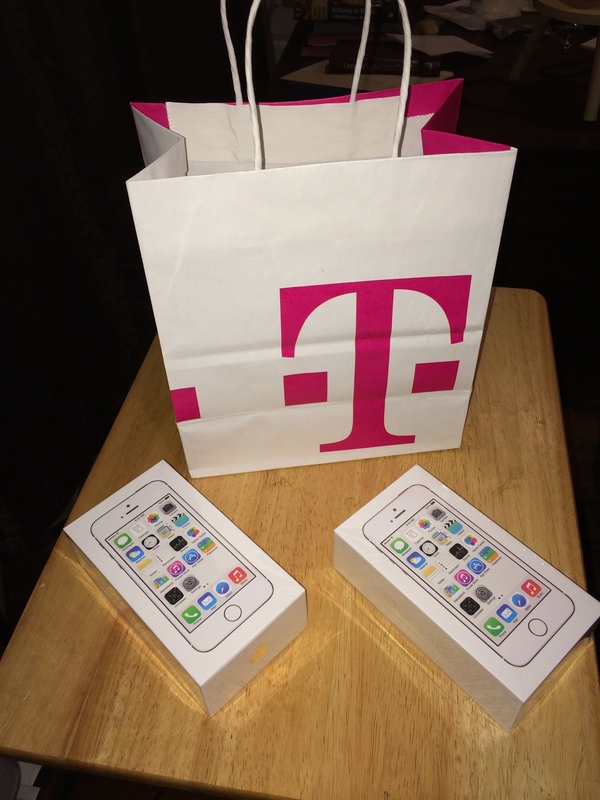 Having taken T-Mobile up on their challenge, I can better tell you what to expect if you choose to do the same. The deal mostly works the way they say it does. It starts with you taking your existing phone into a retail store. You will be leaving without it. So be sure that you are backed up before you leave home. You will be trading it in for a T-Mobile device. So be sure they have the phone you want in advance of your arrival. The good news is that you only have to hand over the phone. You get to keep all of the accessories that came with it, such as cables and plugs. It is always nice to have a few extras lying about. You will need to select a plan. This is where you might be greeted with a pleasant surprise. Grab a dictionary, and look up the words, "unlimited" and "unthrottled". T-Mobile has a plan that features these words. These words are not usually associated with plans from AT&T and Verizon. You might also experience a bit of sticker shock. Whatever you are used to paying for your limited and throttled plans, T-Mobile charges less, much less. Most likely, you will find those savings shocking. As usual, you will need to pass a credit check. I warn you, the credit standards are rather high. They may be a budget carrier, but they are not messing around when it comes to post-paid customers. If you want the 0-Down deals, you had better come with good credit. If not, expect to make a downpayment on your handset. They do not offer subsidies as you have come to know them. The good news is that they are offering a hefty credit depending on the value of your trade-in. A 16GB iPhone 5s goes for $282. Depending on your less than perfect credit, that may still cover all of what you will own if you are getting into another iPhone 5s. Another thing of which you need to be aware is that T-Mobile seems to be limited to the 16GB versions. If you insist on the higher capacity iPhones, This deal will not work for you. Be aware that you will be porting your number to the new phone. You are violently and irrevocably breaking your contract with your old carrier. For a smoother transition, look up your old account number before going to the store. T-Mobile will need that for the porting process. I had to call AT&T while in the store. It was somewhat awkward. Best avoided if possible. There is still the matter of those outrageous, early termination fees from the carrier you just ditched. You might be on the hook for $250 per line, or more. No worries. T-Moble has your back. In fact, this is the center-piece of their offer. They will pay your ETF for you, up to $350 per line. To make this happen, you will have to present proof of your final bill via a special, T-Mobile website. They will send you the money needed to pay off your ETF in the form of a prepaid debit card. You can use the money any way you want, but T-Mobile will be done with their part of the bargain at that point. This is my first, full day with the service, so I will not be able to report on coverage and call quality. It is much too soon for that type of review. Besides, it would do you very little good. The only coverage that matters is the coverage where you need it. How it works out for me will say little about how it works out for you. You will need to do your homework for coverage, data speeds, and call quality information in your area. This post is more about the process than the results. The process has been no more painful than buying a phone from a carrier. If you have been curious about it, give it a try. If you don't like it after putting it through its paces, AT&T will be happy to buy you back.